IM Design Group is more than just a creative agency. We are your strategic partners. Founded in 2002, we have perfected the concept that we stand for: Integrated Media. We bring together the perfect blend of strategy, artistic talent, and technical expertise, partnering with you to propel your business beyond the competition. Like many of our clients, we are entrepreneurs and community-minded individuals. Together, our team has over 45 years of combined experience working with small to mid-size businesses, not-for-profits, and community organizations. I would like to invite you to meet with us and see for yourself the difference it makes to work with an agency that truly loves what they do for other people. We see the drive and desire that our clients have and find it intoxicating to share a role in their strategies. I have challenged myself over the past 22 years to never stop learning, being creative, and having fun. As co-owner of IM Design Group, I understand the joys and challenges of running your own business, and I love putting my creative talents to work to help other business owners succeed. My insatiable curiosity has given me a broad range of knowledge, and I am constantly challenging myself to learn more. I started my professional career 10 years ago as a print designer. Since then, I’ve transitioned into web development, building ninja-like skills in web design, user experience and content management systems. I love solving problems, and I love creating pieces that work and that get results. Outside of IMDG, I serve as Chair of the Emporia Main Street Design Committee, I rescue stray animals, and I’m a Cicerone Certified Craft Beer Server who occasionally guest bartends at the local pub! 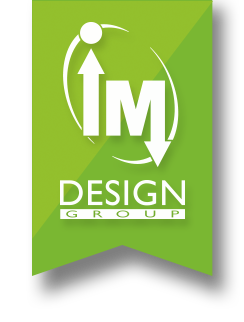 I joined the IM Design Group team in August 2013. As a graphic designer with over 15 years experience, I have a passion for design and am always keeping an eye on the latest trends in graphic design, typography and advertising. Coming from a background at an award-winning newspaper, I have expert knowledge in the design and production of periodicals. From redesigning newspapers to creating magazines from concept to publication, I understand that great design is not just decorating–it is communicating. By dabbling in everything from online publishing to print advertising, to videography and winemaking, I have a broad range to pull concepts from. I am always looking for new projects to throw myself into. I am active in the community and was the former chairman of the Young Emporia Professionals. I joined IM Design Group in 2016, and handle all the administrative tasks for the office. Contact me if you’d like to schedule an appointment with us! We are located on the corner of the 6th of Market, just east of White Auditorium. Parking is available along the front of the building on 6th Avenue.